Our guests are Bill Ayers & Bernardine Dohrn; Rev. Jim Rigby & Glenn Smith; Corey Dolgon; Julia Mickenberg; Scott Braddock; Jonathan Tilove; Roy Casagranda; Powell St. John & Charlie Prichard; Gordon Lafer; Eddie Wilson & Jesse Sublett; Eliza Gilkyson; Bob Libal & Alice Embree; David Messier; Jim Hightower & Beverly Shaw. 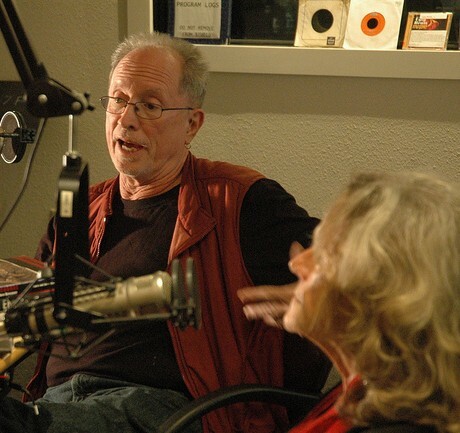 Bill Ayers and Bernardine Dohrn on Rag Radio. Photo by Carlos Lowry / The Rag Blog. Rev. Jim Rigby of St. Andrew’s Presbyterian Church in Austin, and noted Democratic strategist and Rag Radio analyst Glenn Smith, are Thorne Dreyer’s guests. They discuss Texas’ draconian new “sanctuary cities” law, as well as the state’s multi-faceted legislative assault on the City of Austin, including what Austin Mayor Steve Adler recently referred to as Texas Gov. Greg Abbott’s “war against [Texas] cities.” Rev. 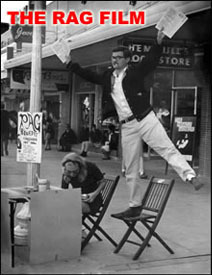 Jim Rigby is a leader of the Austin Sanctuary Movement, a multi-denominational network of congregations pledged to shelter immigrants fearing persecution. 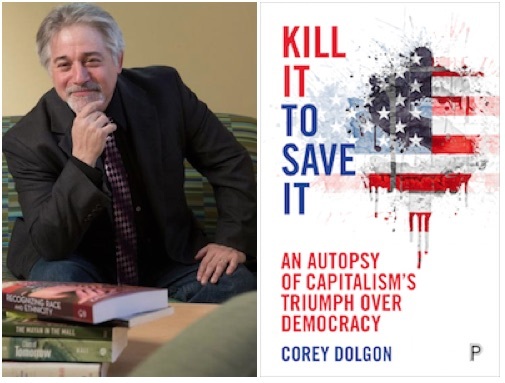 Thorne Dreyer’s guest is Corey Dolgon, whose new book, Kill It to Save It: An Autopsy of Capitalism’s Triumph Over Democracy, “lays bare the hypocrisy of contemporary U.S. political discourse, documenting the historical and theoretical trajectory of capitalism’s triumph over democracy…” Corey Dolgon is Professor of Sociology and Director of Community-Based Learning at Stonehill College, Easton, Massachusetts. 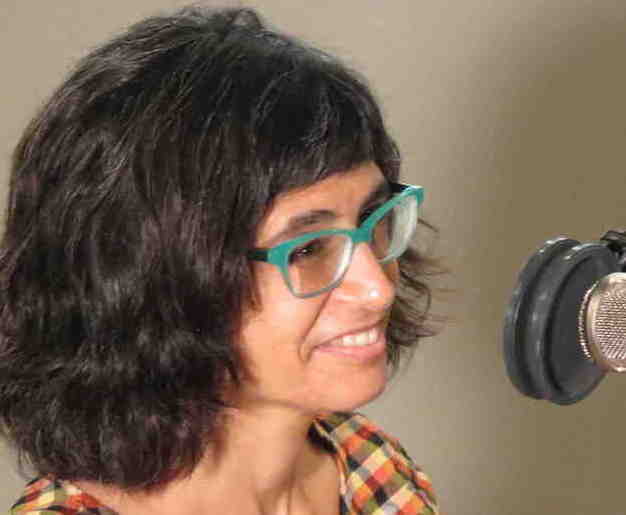 UT-Austin American Studies scholar Julia Mickenberg discusses her fascinating new book, American Girls in Red Russia: Chasing the Soviet Dream, with host Thorne Dreyer and Rag Radio contributor Alice Embree. 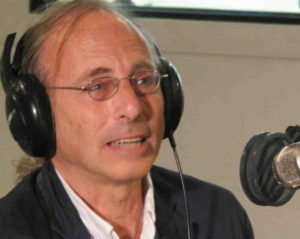 As Mickenberg uncovers in this unique book, there is a forgotten counterpoint to the story of the Lost Generation: beginning in the late nineteenth century, Russian revolutionary ideology attracted many women, including suffragists, reformers, educators, journalists, and artists, as well as curious travelers. Storied Texas radio and print journalist Scott Braddock and Rag Radio analyst and political journalist Glenn Smith join host Thorne Dreyer as they try to make some sense out of what’s happening in the even-crazier-than-usual world of politics. Topics discussed include the bizarre unfolding of the Trump/Comey/Russian collusion saga, and the health care bill and its future in the Senate. 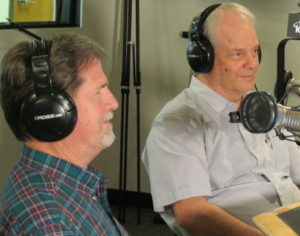 We also talk about Texas HB4, the Sanctuary City bill. And the implications of all this for the 2018 elections. Two of the country’s most prominent peace and justice activists — Medea Benjamin and Col. Ann Wright — discuss Donald Trump and U.S. foreign policy and the growing resistance to his presidency. Medea Benjamin is the co-founder of the women-led peace group CodePink and the human rights group Global Exchange. Ann Wright is a retired United States Army colonel and former diplomat who publicly resigned from the U.S. State Department in direct protest of the 2003 invasion of Iraq. 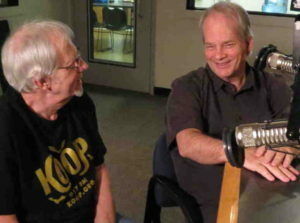 Austin music legends Charlie Prichard (Conqueroo) and Powell St. John (Mother Earth) who were key figures in the Sixties music renaissance, were our guests on Rag Radio, December 21, 2012: a classic show — including conversation and performance — that we rebroadcast last week. 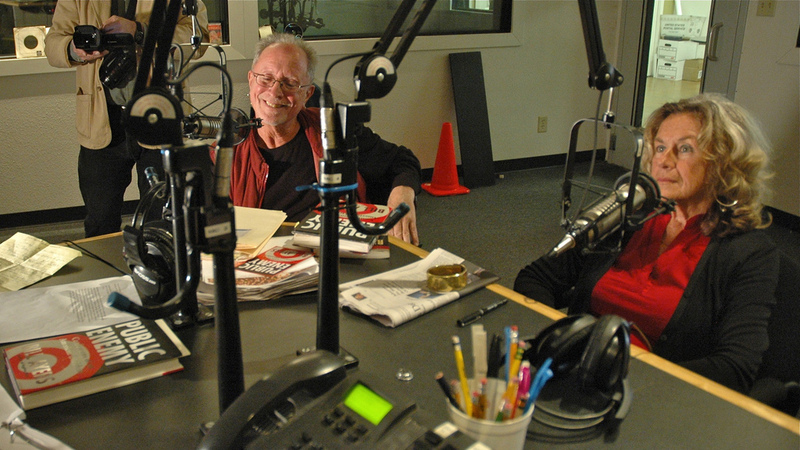 Our dear friend Charlie Prichard — who had been in poor health for some time — died Tuesday, April 25, 2017, at the age of 71. 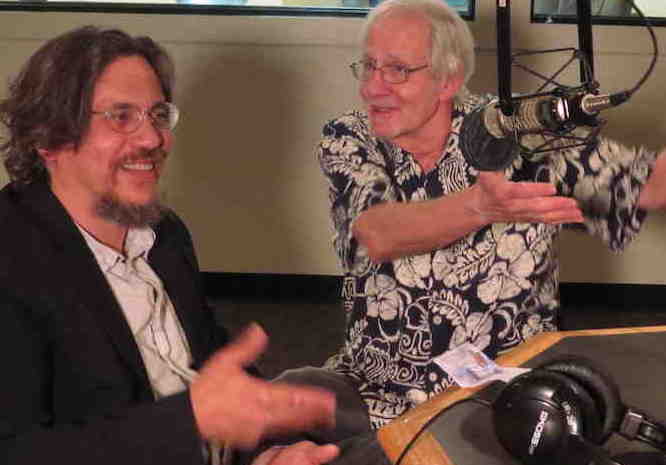 Gordon Lafer is Associate Professor at the Labor Education and Research Center at the University of Oregon. He is the author of The One Percent Solution: How Corporations Are Remaking America One State at a Time. 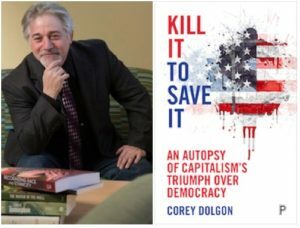 In the aftermath of Citizens United, it’s become commonplace to note the growing political dominance of a small segment of the economic elite. But what exactly are they doing with their newfound influence? 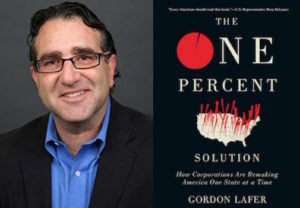 Lafer’s book is a comprehensive account of legislation promoted by the nation’s biggest corporate lobbies across all 50 states. 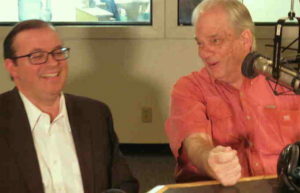 Noted Democratic strategist and Rag Radio regular Glenn Smith joins Thorne Dreyer to discuss the latest political developments on the national scene and in Texas. 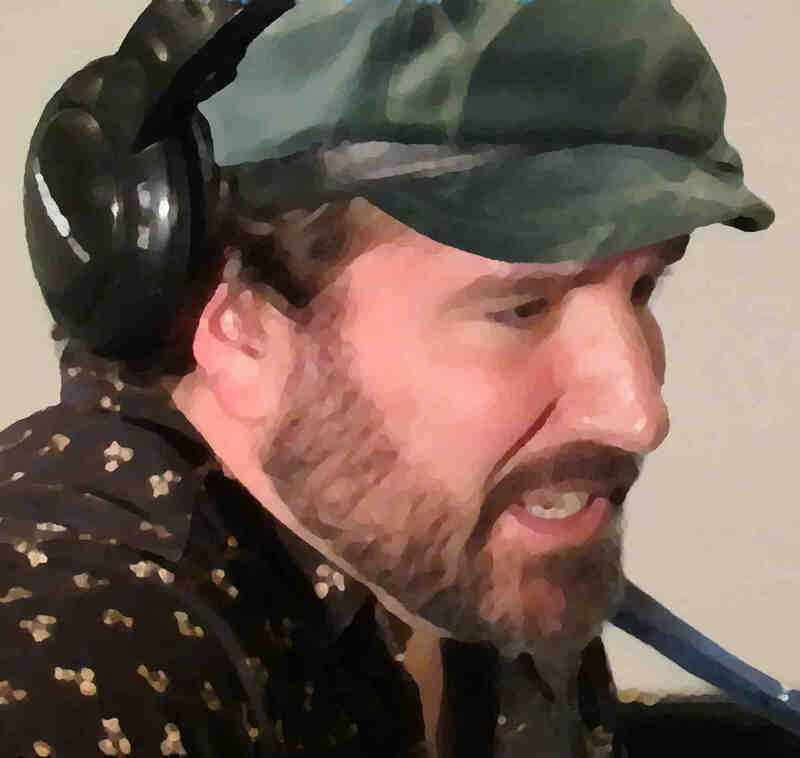 We talk about Trump’s bombing of Syria (“Theater,” Smith called it); the alleged Russia-Repub-U.S. election connections; the Border Wall; the latest from the Texas legislature; and much more. Glenn Smith is an op-ed columnist for the Austin American-Statesman, the director of Progress Texas PAC, and a columnist for Quorum Report. Eddie Wilson and Jesse Sublett join Thorne Dreyer to discuss their much-anticipated and highly-regarded new book, Armadillo World Headquarters: A Memoir. 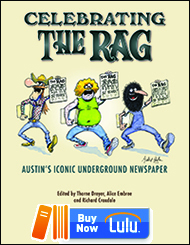 Wilson founded the legendary Austin music venue that gave birth to the cosmic cowboy and brought fame to the lowly armadillo. 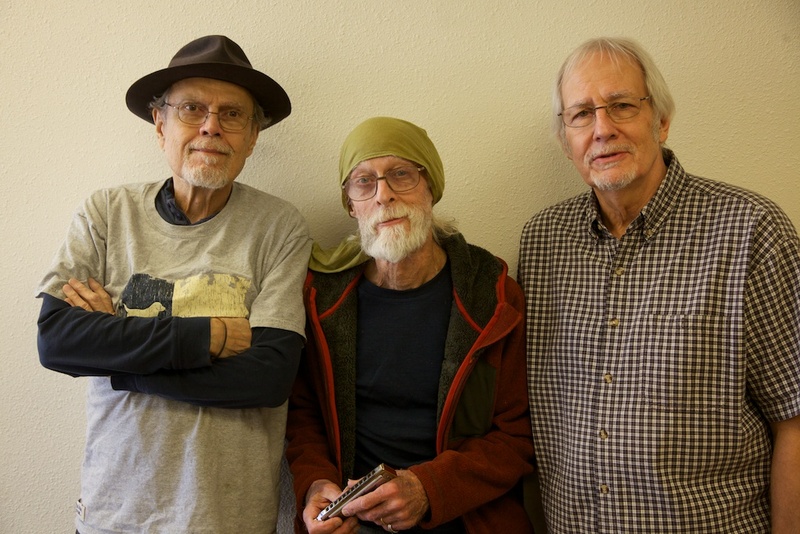 Armadillo World Headquarters helped birth the Austin music scene. 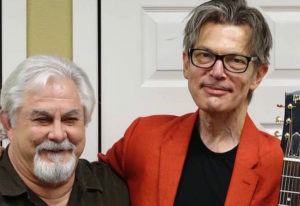 Joining Wilson in telling this incredible tale is writer-musician Jesse Sublett, whose punk band, The Skunks, performed at the Dillo. Jesse even sings a song for us on the show. 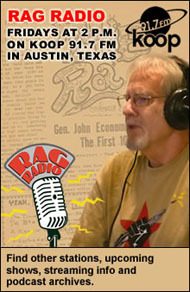 Eliza Gilkyson, twice Grammy-nominated singer, songwriter, and activist, is Thorne Dreyer’s guest on Rag Radio. 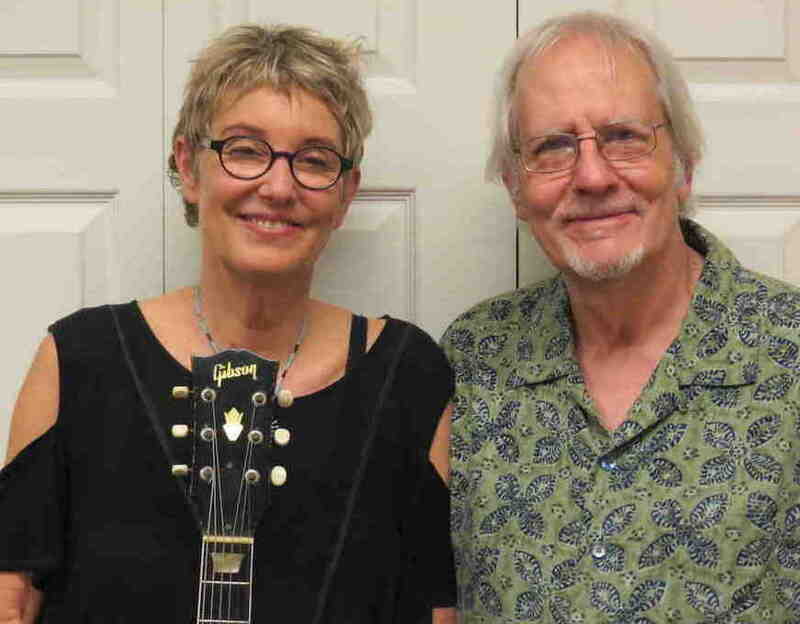 Gilkyson, one of the nation’s most respected folk, roots, and Americana musicians, sings three songs, two of which had never been performed on radio before, and discusses her life, her work, and her social activism. 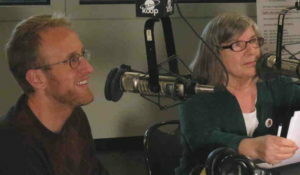 Eliza also talks about her latest video, produced with her son, Cisco Ryder, set to her 2008 song, “The Great Correction.” The video features a collection of powerful photos “depicting the brave souls who, throughout this nation’s history, fought for a decent society and a protected and loved planet.”. Bob Libal, executive director of Grassroots Leadership and Austin activist and writer Alice Embree discuss issues related to deportation, incarceration, resistance, and community, including the extensive Austin resistance activity.. Libal has worked for more than a decade on issues of prison privatization, immigration detention, and criminal justice reform. Embree, a veteran of Students for a Democratic Society (SDS), the original Rag, and the Women’s Liberation Movement, is an Austin activist, organizer, and member of the Texas State Employees Union. 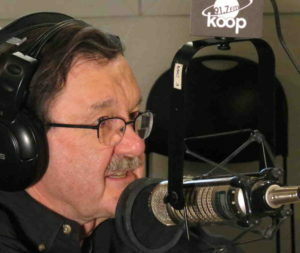 Jim Hightower, America’s best-known populist writer, author, and radio commentator, and progressive political activist, is Thorne Dreyer’s guest on Rag Radio. Also joining us is KOOP Radio’s General Manager, Beverly Shaw. Hightower, editor of The Hightower Lowdown and a board member of the Bernie Sanders-initiated grassroots activist group, Our Revolution, talks about Fake News, and how communities are coming up with their own solutions to issues like inequality, education, and homelessness; “Populist Justice,” and a plan for channeling grassroots anger; and all things Trump! 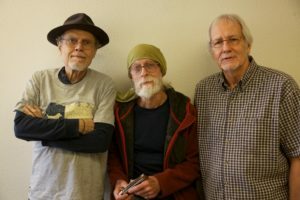 This entry was posted in RagBlog and tagged Alice Embree, Bernardine Dohrn, Beverly Shaw, Bill Ayers, Bob Libal, Charlie Prichard, Corey Dolgon, David Messier, Eddie Wilson, Eliza Gilkyson, Glenn Smith, Gordon Lafer, Jesse Sublett, Jim Hightower, Jim Rigby, Jonathan Tilove, Julia Mickenberg, Podcasts, Powell St. John, Rag Radio, Roy Casagranda, Scott Braddock, Thorne Dreyer, Tracey Schulz. Bookmark the permalink.